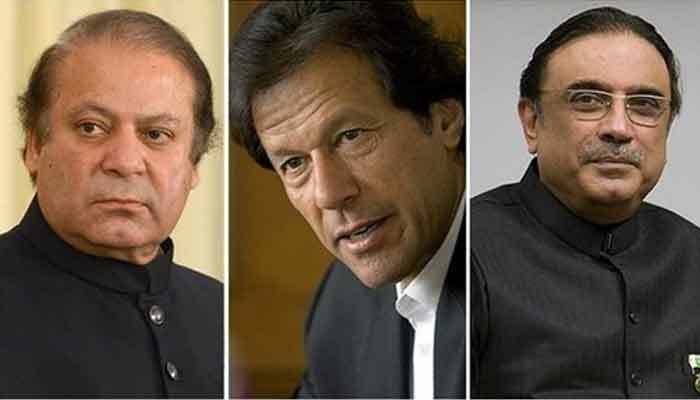 JHELUM/MANGLA: The Minister for Information and Broadcasting Chaudhry Fawad Hussain Saturday said the federal government is under immense pressure to strike deals with Nawaz Sharif and Asif Ali Zardari but would not surrender. He said the plunderers of national wealth would be punished as the government would continue the process of accountability without making any compromises. He said if issue of accountability is to be compromised, why Imran Khan became the prime minister. Speaking at an event in Jhelum, the minister said there will be no deals with the corrupt. Addressing a function organised in Mangla by Chaudhry Zaheer of Potha and Chaudhry Khalid of Barral, he said Prime Minister Imran Khan is fully committed to the accountability of the corrupt and would not spare anyone for his corrupt practices. He said as per its election manifesto, the Pakistan Tehreek-e-Insaf (PTI) is running a clean and transparent government as not a single case of corruption was reported since it came into power. He said the measures taken by the PTI government since day one to make the country self-sufficient economically, has started yielding results as the exports have registered 4.68 percent increase and imports reduced by 8.88 percent during December 2018. He said the initial working to construct 5 million houses has already started, while thousands of kanals of state land have been retrieved from the grabbers. The government would create over 50 million jobs in next five years, he added. The minister said the government would ensure protection of the rights of the downtrodden people, besides narrowing the gap between the rich and the poor. He appealed to the overseas Pakistanis to send remittances through the banking channels. The year 2018 was the year of ‘achieving political victory’ for the country while it would gain economic success in the year 2019, he added. The minister said that ‘unbelievable changes' have occurred in the country under the leadership of Prime Minister Imran Khan. The PTI led by him (Imran Khan) had defeated various mafias in the last general elections. The country, he said, was being ruled by the mafia of two families. One was the Sharif family, which had made companies abroad on papers, while the other was led by Asif Ali Zardari, who also established firms only on papers for ‘devouring commissions’, he added. The mafias, he said, wanted the people to come on roads for saving the money looted by them. The people are not heeding to their calls as evident from the fact that even 15 party workers did not reach the Kot Lakhpat Jail, Lahore when their leader Nawaz Sharif was shifted there, he added. He hailed the people of Jhelum, who had defeated the mafias in the last general elections. He said the Mangla could become a tourism spot due to its historic importance, leaving behind places in Mauritius, Switzerland and Maldives. Fawad said the PTI is receiving unsolicited advice from various quarters on how to deal with the cases against the former prime minister and the former president. “Every day there is someone telling us that our anti-corruption efforts are hindering the functioning of the Parliament. Some people are advising us to go easy on Zardari and Sharif as others want us to negotiate settlements with them,” said Chaudhry. “These people need to realise that until the PTI is in the power and Imran Khan is prime minister of Pakistan, there will be no deals with the corrupt,” he asserted. Reiterating accusations against Sharif and Zardari, the information minister said both the political leaders are guilty of establishing fake companies to launder ill-gotten wealth. “They are mafias and generations of their families are reaping the benefits of their corruption,” said Chaudhry adding that Imran Khan and the PTI will leave no stone unturned in efforts to expose the leadership of the PML-N and the PPP. He claimed that under the leadership of Prime Minister Imran Khan, Pakistan will only witness better days ahead. “We are seven months into our tenure and there has been no corruption scandal against any federal minister,” said Chaudhry. Earlier, Fawad Hussain said the PTI government fully believes in the freedom of expression and will continue to play role in promotion of this constitutional and democratic right and protection and welfare of the journalists. Congratulating the newly elected President of the National Press Club Islamabad Shakil Karar and other office bearers, the information minister expressed the hope that the newly elected cabinet of the journalists would utilise their best capabilities for the resolution of problems and welfare of the journalists and the media workers.